A Better Way to Factory Reset iPhone without iTunes? There are some ways that can help you restore your iPhone to factory settings. Except using iTunes to restore, you still has "Erase All Content and Settings" function on iPhone to reset. However, no matter using "Erase All Content and Settings" or iTunes restore is not safe enough as it has its own disadvantages. 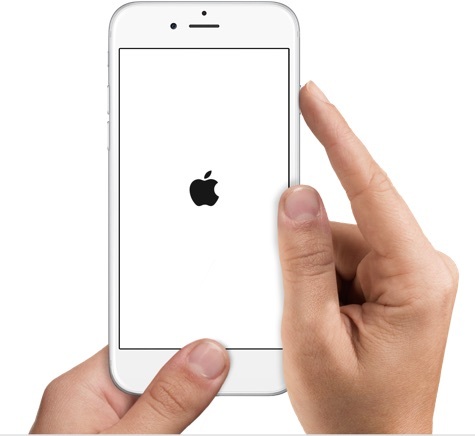 You could run into problems activating your iPhone again after a factory reset. The possibility of getting error messages during a factory reset is high. Security of data is not guaranteed because deleted data can be recovered by data recovery tool which is a problem when privacy of data is paramount. So, iMyFone Umate Pro win/Mac “Erase All Data” is recommended to reset iPhone to factory settings without iTunes, because it is a safer option. It has the advantage of erasing iPhone data permanently as data cannot be recovered again, ensuring that your privacy is well secured. And you won’t need to active again your iPhone. What’s more, the program will do all for you, you won’t get error messages this time. 100% Unrecoverable: Any erased data by iMyFone is no longer visible, accessible, and recoverable by any recovery tool or organizations, including FBI. Erase Deleted Files: Files that have been already deleted through simple means can be retrieved. Those deleted files can be scanned out and completely destroyed. Selectively Reset iPhone Data: You can preview and select the private messages, call history, notes, photos, videos, voice memos, and more to permanently erase. Support 3rd-Party Apps: It's the first eraser that will erase messages and attachments from WhatsApp, Viber, Kik and WeChat. Traces in Snapchat, FAcebook, Twitter, Chrome and 10+ more apps will be destroyed to protect your privacy from being leaked. iMyFone is trusted by thousands of users (every year) and reported by well-known media around the world, like getintopc.com, MacWorld, APPKED, etc. Step 1: Firstly download and install the Umate Pro, launch the software and connect your iPhone. Step 2: Go to the "Erase All Data" tab and click on "Erase". Step 3: Type "delete" in the available box to confirm your choice. Then click "Erase Now" and restore your iPhone. Umate Pro is one of the best all in one solution that is highly capable of restoring your device with the bonus of offering an incredible privacy protection. Apart from resetting iPhone totally, you have other options to manage the private data on iPhone.